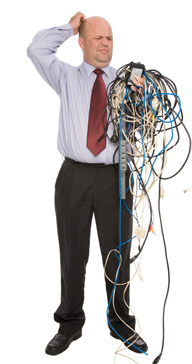 his needs because other test and tag products did not. Master Tag saves time and money! Simply snap the tag device around a lead. 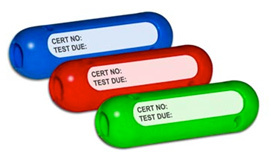 On the stickers record the “Test Due Date” and “Certificate Number.” The tag device stays on and when the next test is due easily and quickly replace the sticker. Our offer includes enough stickers for 2 tests. It doesn’t take Einstein to work out the $$$’s saved by comparing the low cost of our replacement stickers to other products.